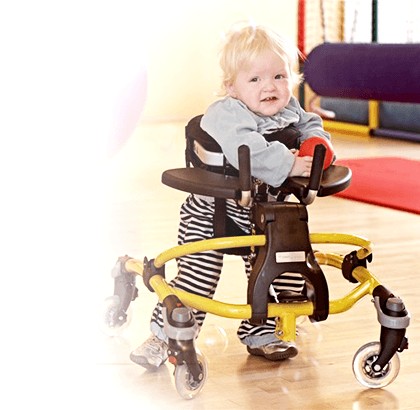 Meeting developmental milestones is always a cause for celebration and learning to walk is arguably one of the most sought-after achievements that individuals with special needs and the people that love them hope for and work towards. Even for typically developing kids, the world changes dramatically once they are up on their feet. But achieving this milestone is much easier for some than others. 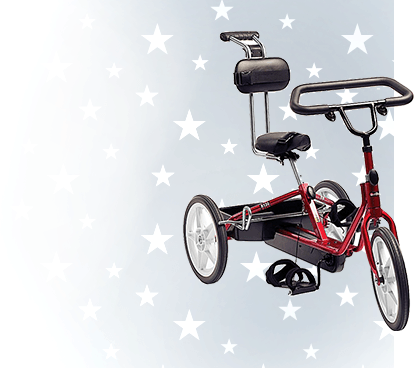 For those individuals who require adaptive equipment to help them get started and for those who will always rely on adaptive equipment to walk, Adaptivemall.com offers a huge selection of walkers and gait trainers. 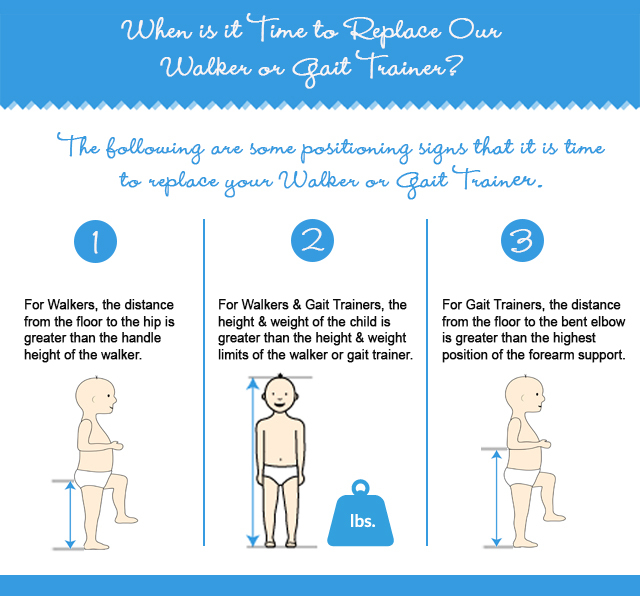 Gait trainers are used when an individual is not yet able to consistently bear full weight through their legs. Postural control is developing and cognitive skills to support the motivation to move from one place to another are present. Walkers are used when an individual can bear weight through their legs or through a combination of their arms and legs to keep themselves safely upright, but support is required due to compromised balance, strength or endurance. Assistive devices for walking are provided to decrease the energy expended during walking and offer support when independent ambulation is not possible. 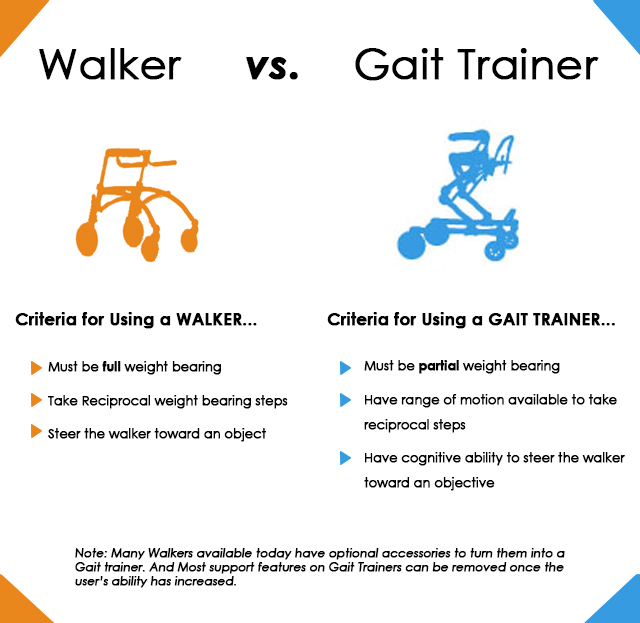 Walkers are available in different styles offering support either in front of the user (anterior walker) or behind the user (posterior or reverse walker). Versatile Aids for Walking: Which One is Right for You? 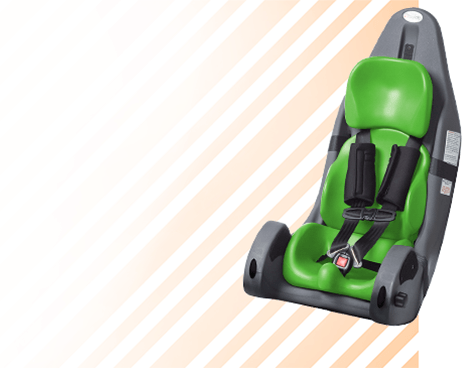 With so many options available on the market today, selecting the right piece of adaptive equipment to meet your child’s unique needs for assistance with walking can be confusing. 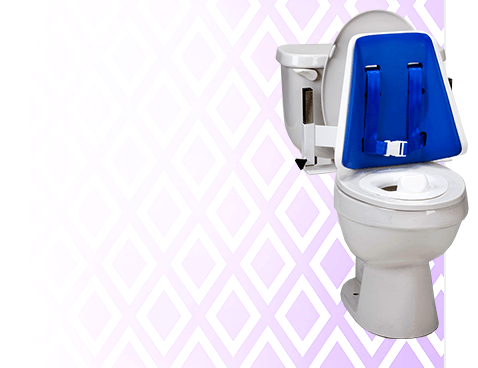 We want you to be confident in your selection and we’re here to help! Adaptivemall.com is staffed by physical and occupational therapists and intervention specialists who are happy to provide you with custom advice. 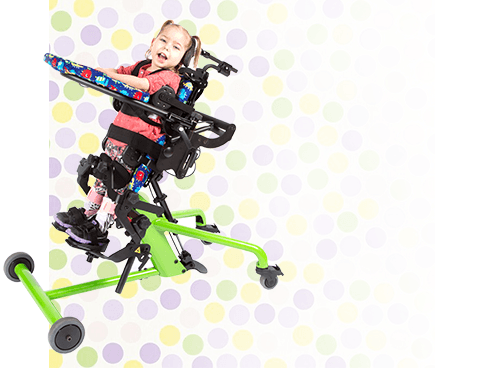 All adaptive equipment choices have been handpicked and recommended by therapists and families with special needs children. Walking is a skill that emerges for some children before they turn a year old. And for other children, walking may not emerge until 18 months or later. 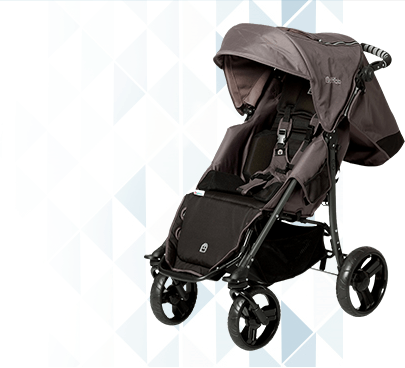 Delayed walking is often a concern for parents and may warrant consultation with a physician. There are many physiological and environmental reasons for delayed walking. There may be a neurological cause or sometimes, a child may not be given an opportunity to master the skill of walking in the environment. For children with certain clinical diagnoses, walkers & gait trainers may be beneficial to help them achieve their goals. 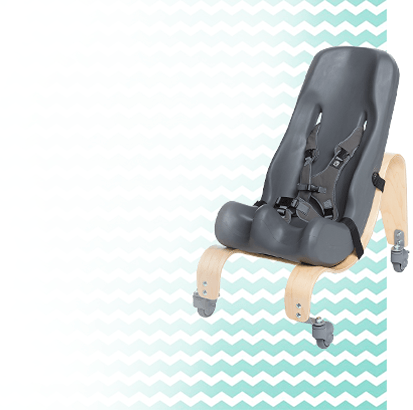 Always check with your child's therapists before using equipment to make sure that it is appropriate. 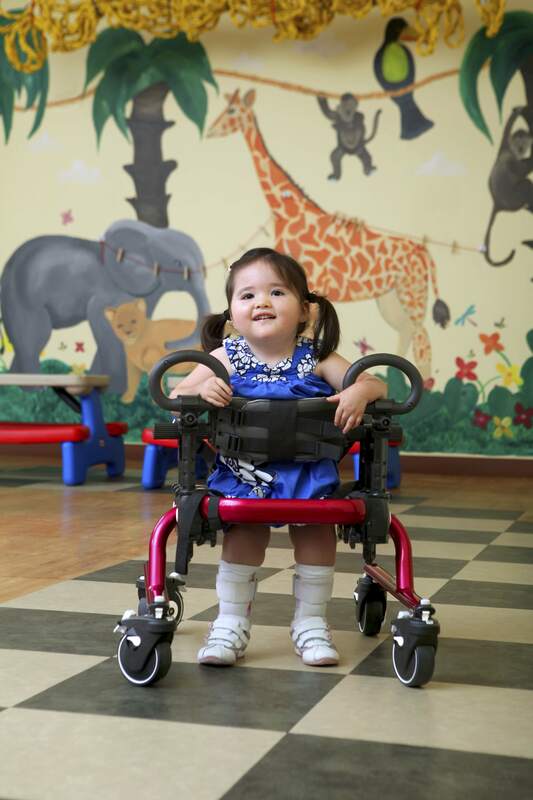 Some of the clinical diagnoses that might include but are not limited to the following: Cerebral Palsy, Down Syndrome, Muscular Dystrophy, Gross Motor Delay, Spina Bifida, and Traumatic Brain Injury.